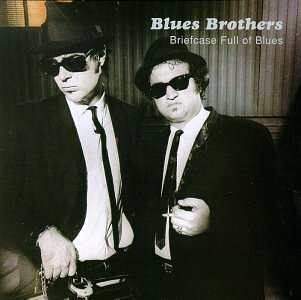 THE BLUES BROTHERS: BRIEFCASE FULL OF BLUES: 1978: 4 STARS OUT OF 5 STARS: VINYL: The best selling blues album of all time? It sold over 3.5 million copies and went to #1 on the album charts. There were two hit singles “Rubber Biscuit” and “Soul Man.” Joliet Jake and Elwood Blues aka John Belushi and Dan Ackroyd would even take their Blues Brother Saturday Night Live act to cinema in 1980 with an entertaining movie. This was an influential album to me for me because I took Jake’s advice and “bought as many blues albums as I could.” Entertaining and fun album and they had a group of outstanding musicians backing them up. When I think of this album I think of the spring of my senior year in high school. Me and my friends for three years during our free periods would go to the school library and hang out. The librarian I wouldn’t say disliked us but I think would rather have us anywhere but her library. She went by the ‘libraries should be quiet places’ rule and we looked at it as a place to gather and talk. We were never cruel to her, we could come in and sit at a table as far away from her as you could get but our presence still bothered her. You could see the disappointment on her face every day we walked in. It was like she woke up every morning hoping ‘those boys don’t come in today” and every day we walked in. In the spring of my senior year, the spring after this album hit, she approached me one afternoon and asked to see me in her office. What did I do? She explained to me that she was going to have a music appreciation week at the library and she knew how much into music I was- would I make the music selections? Sure! She wanted a variety of music to be played. She wanted to know what I had picked and a week later I told her and she asked me to write an article for the school paper about the upcoming event. I can’t recall all the music that I picked out- I had albums picked that covered it all, classical, jazz, country, rock. Three selections I recall, being a Beatles fanatic I picked Sgt. Pepper’s Lonely Hearts Club Band- to play one period. My favorite new artist was Elvis Costello, his first two albums were out so I picked My Aim Is True. The Beatles and Elvis drew pretty strong crowds to listen, the jazz, country and classical as predicted didn’t. The librarian was probably in her early 30’s. She wasn’t a bad person at all. But she was a person who took herself seriously and correspondingly had no sense of humor. I think her ideal dream day would be unlocking the doors to the library and having no one come in all day. Anyway. I can remember when I played Elvis Costello her quizzing me on what the song “Mystery Dance” was about. I managed to keep a straight face and say I had no idea in the world what it was about. I don’t think she was convinced. When the Blues Brothers were played it was the librarians worst nightmare. I picked a lunch period to play it and most of the people at lunch must have came up to the library to listen. People were rolling in and I could see immediate disapproval on her face. I have yet to point out- that the librarian was no up one bit on pop culture. Saturday Night Live and The Blues Brothers were the hottest thing on television at that moment but she had no clue who The Blues Brothers were when I told her I was going to play them. The library was packed, the seats were all taken and there were more people standing than setting. She let the whole album play but it didn’t take more than a minute to tell she wasn’t a happy lady. She sent a bunch of my crowd back to the lunch room for enjoying themselves too much. Towards the end of the album I saw her casting a look my way. It wasn’t of anger, but a look of resignation. I have no idea what she was thinking but she looked defeated. I wasn’t trying to pull anything over on her- I was just wanting to introduce the blues to the masses. I wonder if she ever had a music appreciation week after that one? 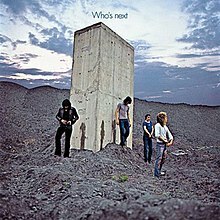 The WHO: MEATY, BEATY, BIG AND BOUNCY: 1971: 5 STARS OUT OF 5 STARS: VINYL: A great greatest hits album from The Who at the mid-point of their career. 14 great tunes. There are better ‘best of’s out there today which cover their entire career but this was the first one Who album I ever owned and I loved it. The Blues Brothers movies is amazing! A classic for sure! I loved that movie too.